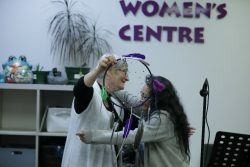 In 2017, more than 9,000 individual women connected with the Women’s Centre. What is the Artist in Residence program? In celebration of our 20th anniversary of supporting women in Calgary communities, the Women’s Centre launched an Artist in Residence program (AiR) in January 2017. We aim to provide more opportunities for women experiencing marginalization to connect with Calgary’s arts and music community, while also providing increased visibility and support to local women artists. AiR shares the Women’s Centre vision of women supporting communities and communities supporting women. We achieve community building through showcasing the artists, sharing art practice, collaborating on projects, and hosting workshops and events. The artistic vision of each residency is ever growing based on the unique goals of each individual artist and their collaboration with women in our community. Our goal is to host inclusive events at the Women’s Centre with artists and participants of all experience levels and diverse backgrounds. Meet the Artists in Residence of 2019! The Artists in Residence volunteers at the Women’s Centre anticipate a year of multimedia creative expression bringing community together. A volunteer committee of peer artists curate three or four Artists in Residence a year. This year, we are collaborating with the film collective Prairie Kitten Productions, the spoken word artist Sally Njoroge, and photographer Rocio Graham to bring diverse experiences to the Centre for all to participate in. Each artist will be showcased at one of our major special events throughout the year. They will each be putting on a workshop or an event for women to attend, learn about their craft and get in touch with some creative energy! Stay tuned for our first event of the year, our annual Open Mic Night – it takes place in May and it will be hosted by Sally Njoroge. 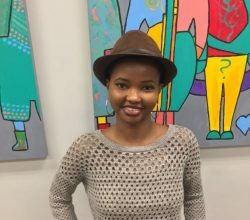 Sally Njoroge is an integral part of the Calgary arts and changemakers scene. She has been influenced by lyrical masters such as Maya Angelou, Lauryn Hill, and E-Sir, which has led her to find her voice through spoken word magic. Sally uses poetry to explore ideas about identity, family, nature, and spirituality. Currently, she is involved with the ReFreshed after-school program, which provides healing and empowerment to youth through elements of hip-hop, as well as Uproot YYC, an organization driven to break down barriers for artists of colour. As a recent Mount Royal University graduate trained in Sociology, Innovation, and Entrepreneurship, Sally is working in partnership with Calgary Arts Development and Trico Changemakers Studio to research strategies to create meaningful social change through the arts. Rocio Graham is a photographer currently based in Calgary. 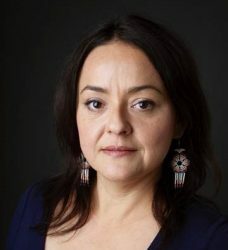 Born in Mexico, she emigrated to Canada in 2002, studying art at Emily Carr University and the Alberta College of Art + Design, where she recently obtained a Bachelor of Design in Photography. Her poignant still life photos are influenced by her cultural heritage, identity as a woman and mother, and reflections on life cycles. Fittingly, Graham’s home and garden serve as her studio—a centre for research and development—where her elaborate compositions begin the moment she selects a seed to nurture in the spring until the final stages of decay and decomposition in the winter. She finds that this constant shift of landscape allows her to explore it not only as a physical space, but as a mystical one. Prairie Kitten Productions (PKP) aims to bring audiences Albertan films written, directed, and produced by women. Located in Calgary, Alberta, PKP was founded by five students at the University of Calgary: Vanessa Wenzel, Cayley Wreggitt, Danielle White, Elaine Yang, and Siobhan Cooney. PKP believes in producing work that reflects the modern Albertan community. As young women emerging into the arts world, they discovered a lack of opportunity to exhibit the strength and quality of work written from the female perspective. PKP was founded to inspire the greater local community, to celebrate art by women. They pride themselves in acknowledging and embracing the growing diversity in our community. How can women get involved and support the program? Become an Artist in Residence!